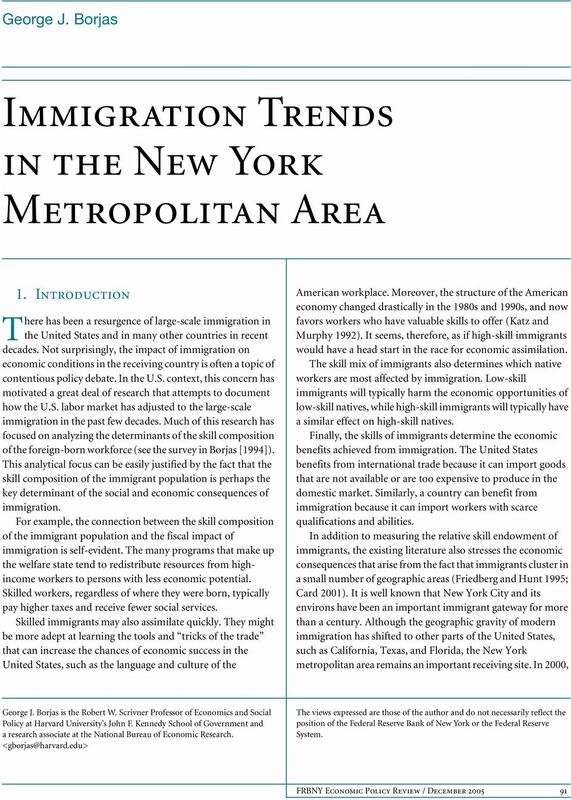 Download "Immigration Trends in the New York Metropolitan Area"
Vietnamese imagine all the people Vietnamese in Boston imagine all the people is a series of publications produced by the Boston Redevelopment Authority for the Mayor s Office of Immigrant Advancement. Minorities in the Tenth District: Are They Ready for the Jobs of the Future? Texas Twist: Why Did State s Unemployment Fall Below Nation s? The H-1B Program and Its Effects on Information Technology Workers MADELINE ZAVODNY Zavodny is a research economist and associate policy adviser in the regional section of the Atlanta Fed s research department. Immigration policies: The United States and Canada Abstract In attracting talented people from around the world, the United States and Canada are exceptional, but for somewhat different reasons. The U.S. The Growing Wage Gap: Is Training the Answer? 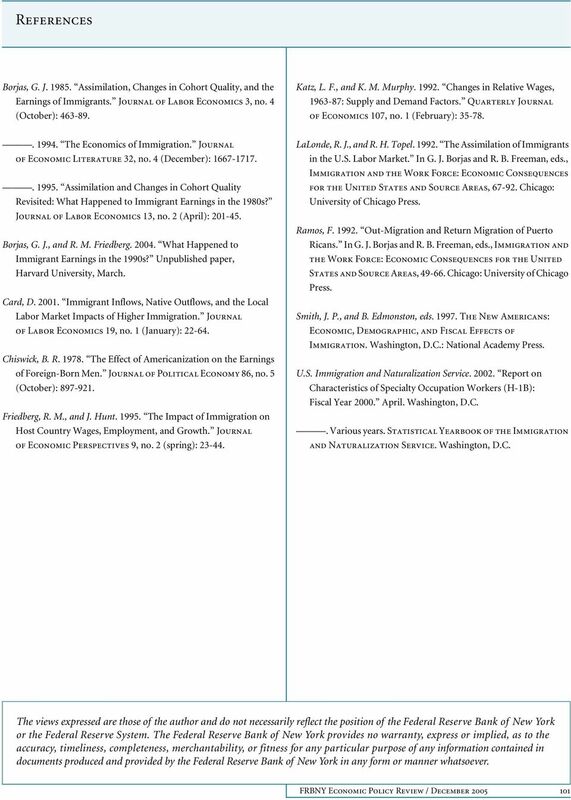 Volume Title: Issues in the Economics of Immigration. Volume URL: http://www.nber.org/books/borj00-1. Chapter URL: http://www.nber.